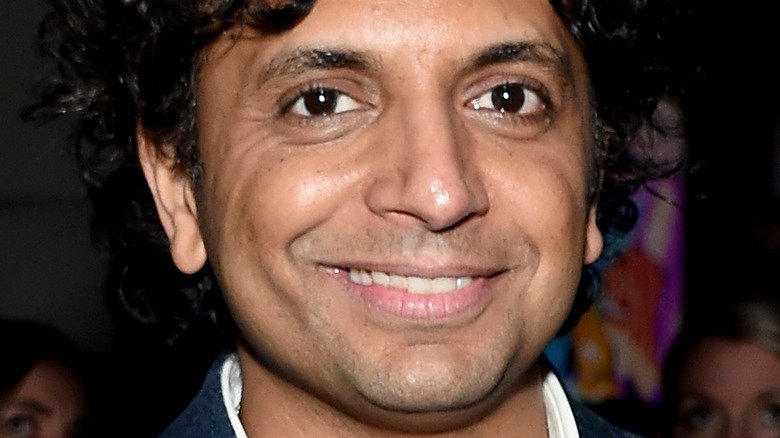 M. Night Shyamalan has officially begun work on his latest thriller film, Glass. The director confirmed that filming on Glass is now underway, after previously mentioned that the cast and crew conducted successful rehearsals for the film. "About to go to sleep before the first day of shooting Glass. Thinking about the incredible week of rehearsals we had and hoping for the best," Shyamalan wrote on Sunday. Today (October 2), he tweeted out a photo of a production slate with the caption, "Day 1: Seventeen years in the making. #Glass." Glass is the follow-up to Shyamalan's surprise hit Split, a psychological horror-thriller film that was released earlier this year through Universal. X-Men star James McAvoy took the lead as Kevin Wendell Crumb, a man suffering with dissociative identity disorder (DID), attempting to navigate his 23 distinct (and sometimes dangerous) personalities. As Kevin's personalities come to the surface, his body chemistry changes, resulting in his 24th personality, known only as "The Beast." The Witch actress Anya Taylor-Joy joins McAvoy Casey Cooke, a young girl one of Kevin's personalities kidnaps and intends to sacrifice to the Beast. The film is also the sequel to the 2000 movie Unbreakable, which tells the tale of a blue-collar man named David Dunn (Bruce Willis) who survives a devastating train accident. When a mysterious stranger called Elijah Price (Samuel L. Jackson) enters David's life, explaining how and why he escaped the tragedy completely unscathed, his entire world is turned upside down. Willis will return as David Dunn for Glass, as will Jackson as Elijah Price (who is also known by his pseudonym Mr. Glass), McAvoy as Kevin, and Taylor-Joy as Casey Casey. Both Universal Pictures and Disney's Buena Vista International have material stake in Glass, with the former releasing the film domestically and the latter handling international distribution. Shyamalan and Blumhouse Productions' Jason Blum are on board to produce the pic, alongside Ashwin Rajan and Marc Bienstock. Producer Jason Blum previously called Glass a "very different" kind of superhero movie. Speaking with Collider, he stated, "It's a kind of superhero movie, for sure. I do consider it that, yeah. It's very different. I would say it's not a Marvel movie, but a superhero movie." This seems to be on trend with Shyamalan's first two parts of the surprise film trilogy. Beyond that tidbit of information, plot details for Glass are being kept under secure lock and key for now. We'll be certain to update you as we know more.